Last time: Having released a very impressive debut episode, “Pilgrim of Eternity,” in May of 2013, STAR TREK CONTINUES was ready to bring fans even more episodes from what they imagined would have been the never-produced 4th and 5th seasons of TOS Star Trek. They just needed one thing: money. Vic Mignogna had funded their first episode himself as a way of telling fans, “Hey, this is what we can do. Please donate so we can make more episodes like this.” Some of the sets had already been built by the team at Starship Farragut, which agreed to share their studio with STC. Other set pieces, like the briefing room and captain’s quarters, had been partially constructed in Oklahoma City for the never-made fan film Starship Ajax, and Vic purchased them from Ajax show-runner John Hughes to take to Georgia. In 2012, Farragut Films moved to a larger studio in Kingsland, GA, with 10,000 square feet to expand into. 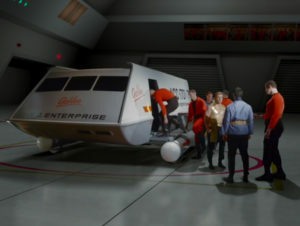 With their combined resources, the two productions were now able to have a TOS bridge, transporter, crew quarters, briefing room/mess hall, sickbay, and corridors. New set construction—including improvements for the existing bridge—were overseen by local contractor William Smith, who became the de facto “custodian” of the entire set, as he lived close to the studio. But a fan film needs more than just sets. There was also rent for the sound stage, rent for the equipment, utilities, prop creation, costume production and rental, make-up supplies and equipment, and post-production costs for things like hard-drive storage. Add to this costs for travel and lodging for out-of-town cast and crew plus food for everyone during the week and a half of filming. And while most of the team were volunteers, some professionals were working at a discounted rate (about 10% of their normal fee). It all added up! Vic determined that if STC could raise $100,000 in a crowd-funder, they could afford to make three additional episodes. The campaign was held in late 2013, and on November 6, the Kickstarter (or KIRKstarter, as they called it) finished with $126,028 from 2,981 backers. That was more than enough for three new episodes! Work on their second episode had started months before their Kickstarter campaign began. The first thing required, of course, was a script…and for that, they needed a story. In multiple interviews, show runner Vic Mignogna discussed how he wanted STC to have stories about something. Many fans had pitched him space battle episode ideas with Klingons and the such, but the original series had relatively little of that. Instead, TOS scripts had social relevance, reflecting societal issues of the day through a sci-fi “lens.” Star Trek gave us stories that made us think, that had moral dilemmas where things weren’t always wrapped up neatly in a bow. And that’s the foundation on which STC’s second episode was conceived. Vic co-wrote “Lolani” with Huston Huddleston, who in turn finished the teleplay with Paul Bianchi. Like their first episode, “Pilgrim of Eternity,” (which featured a theme of redemption through self-sacrifice), their second episode also touched on an important subject: human trafficking. Conveniently, Trek already had the perfect foils for an episode about this subject: the green-skinned Orions and their intoxicatingly sensual “slave women.” Surprisingly, TOS itself never dealt with the seemingly incongruous existence of an active slave trade in an otherwise utopian future. On the other hand, Orion wasn’t a member of the Federation… and thus does the episode introduce the primary conflict of Lolani’s story. The challenge of such an episode, of course, was going to be actor make-up. “Lolani” featured two prominent characters who would have large amounts of exposed green skin: Lolani herself, an Orion slave played by the mesmerizing Fiona Vroom, and her brutish Orion owner Zaminhon, played by Lou Ferrigno. Ferrigno was no stranger to green body make-up, having played the Incredible Hulk on the live-action TV series from 1977-1981. But this green make-up this time was going to look noticeably different and include a beard and bald head (not very Hulk-like). His face, neck, hands, and very muscular arms would need to be colored, while Lolani would be doing many of her scenes scantily clad, requiring massive coverage of green make-up that (hopefully) wouldn’t get all over the place…including on all those nice uniforms and set pieces! For the green coloring, Tim and Lisa used a mixture of adhesive and acrylic color, called PAX, so that the green would not transfer onto the sets or costumes. A custom-matched cream make-up was used for their faces. Each day, Fiona’s Lolani make-up required a crew of three make-up artists five hours to apply. Lou Ferrigno’s make-up took about three hours. When they were done each day, it still took hours more to remove all the make-up! But it was worth it, as the two characters were among the most visually interesting of any seen in a Trek fan film so far…and their strong acting only enhanced the impact. Ferrigno wasn’t the only notable sci-fi genre star to appear in this episode. As a frequent guest at signing conventions, Vic knows a lot of industry folks, and he convinced Erin Gray (who portrayed Colonel Wilma Deering on Buck Rogers in the 1980s) to play a Starfleet Commodore, as well as Daniel Logan (who played the young Boba Fett in Star Wars: Attack of the Clones) to play the Enterprise navigator. Released in February of 2014, “Lolani” was a huge hit with fans, even more than STC’s first episode. This was considered to be a major triumph for the team, as this time they weren’t relying on a sequel to a TOS episode but instead presenting a truly unique and stand-alone story. Vic had stepped aside from directing (Chris White directed “Lolani”), allowing him to concentrate more on playing Kirk correctly and avoiding the stigma of imitating a caricature of Shatner’s acting style. Michele Specht’s new character of Counselor McKennah also got a chance to really shine as a foil for Kirk, setting up some interesting tension between the two of them. If make-up was the biggest challenge for their second full episode, then costuming was the major obstacle for their third. “Fairest of Them All” wasn’t so much a sequel to the TOS episode “Mirror, Mirror” as an extension of it. We all know what happened to “our” Captain Kirk after he and the landing party returned from the mirror universe. But what about their counterparts? Was Mirror-Spock able to find a way to spare the Halkans after all? What would Mirror-Kirk do now that he was back on the ISS Enterprise? In an episode co-written by Vic and James Kerwin (who also directed) from a story by Vic, these questions and more were answered…in an exciting and suspenseful way. 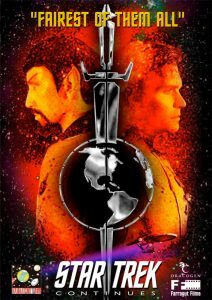 In fact, it’s a top MUST WATCH Trek fan film. Released onto the Internet on June 15, 2014, the story line draws you in, the drama keeps you on the edge of your seat and constantly guessing, and the resolution is ultimately quite satisfying. Sure, these aren’t the exact same actors who crewed our favorite starship 50 years ago (how could they be? ), but once you put that expectation aside, the entire 40-minute episode feels like a piece of “lost” Star Trek from the 1960s. 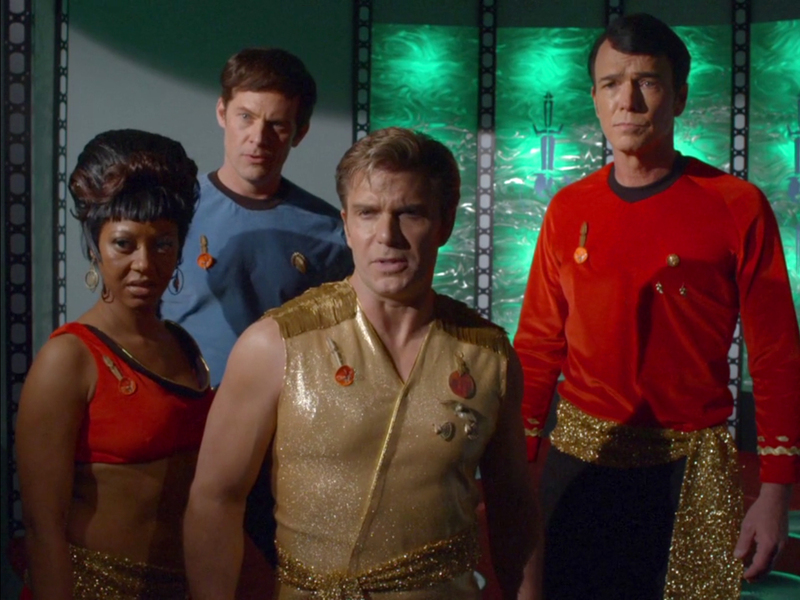 The look of the mirror universe was sheer brilliance! The costuming department, which included Vic himself and was led by costume designer Ginger Holley, worked almost non-stop on the costumes from November of 2013 until March of 2014 when filming kicked off. Nearly everything had to be made from scratch! You would think they could just tweak their regular uniforms and add the Empire’s insignia, but it wasn’t that easy. Their regular STC uniforms were made from a polyester fabric similar to what TOS had used in its third season. But “Mirror, Mirror” was a second season TOS episode, filmed while Shatner and company were still wearing uniforms made of stretch velour (which is nearly impossible to find these days). After doing most of the filming in March, the last scenes were shot in May at the Johnson Space Center where the recently-restored Galileo shuttlecraft was (and still is) on display. Special permission was given to STC to film there based on a review of the quality of their previous episodes, and the scene is pretty awesome to watch. “The White Iris” (co-written by Vic, James Kerwin, and Chris White, and directed by James Kerwin again) was an interesting departure from anything STC had done before. A relatively quiet episode, “The White Iris” felt more like a dramatic stage play than a typical Star Trek fan film. It’s a journey, of sorts, through Kirk’s psyche as he deals with the “ghosts” of women from his past who have died, and it provides an amazing opportunity for Counselor McKennah’s character to really develop. I won’t say more, as the ending is one of the most beautiful tear-jerkers (yes, dammit, I cried!) that I’ve ever seen in ANY Star Trek…not just fan films. As was becoming the norm, the episode featured a noted sci-fi celebrity guest star: Colin Baker, who played the sixth incarnation of the titular Time Lord on the British series Doctor Who. Also, Martina “Coiunselor Troi” Sirtis returned to STC to once again voice the Enterprise computer. Kudos must go to costume designer Ginger Holley and wardrobe supervisor Dorothy Booraem, who spent uncounted hours creating amazing replicas of the costumes originally worn by the characters of Edith Keeler, Miramanee, and Rayna…plus nearly a dozen other original pieces. And so I sent him the rough cut of the episode, and he wrote some original pieces for the episode. And then I flew up to Rochester, NY, where he had put together an orchestra at the Rochester Institute of Technology, and we recorded a live orchestra…never been done on a fan production before! And we had such a good time, and it went so well, that we did the same thing for “Divided We Stand” [episode 5], and he’s gonna be writing original music for “Come Not Between the Dragons” [episode 6]. Next time: believe it or not, a lot MORE happened in 2015! In addition to another Kickstarter and the release of STC’s sixth episode “Divided We Stand,” STC and Starship Farragut also parted ways. Not a lot of fans know the background details, and who was paid how much and for what. But I’ll have all of that information for you next week. And finally, a closer look at how episodes 7 and 8 both broke new ground. Jonathon, this is a remarkable story you are compiling of a remarkable chapter in the history of fan-made Star Trek productions, and in particular, those which extend TOS. Is there any possibility that, when completed, you could make your work available as a complete downloadable entity? This would be imposing on your generosity, but it would be a pity for this work to be transitory. It is an important record that should not be lost. If Vic would like me to make him a PDF of the entire series, he’s welcome to shoot me an e-mail. And if Vic is reading this (or someone can pass along a message), tell him that Dean Newbury is trying to contact him about the STC sets. Actually I was thinking of this history of STC, but now that you mention the other contenders – with your backgrond, your knowledge and your writing skills, the thought occurs, have you ever considered writing and publishing a book on the history of Star Trek fan-produced films? Has that ever been done? If not, that is a significant gap that should be filled. You would be the person to do it. I pitched the idea to my literary agent nearly two years ago, and he said it’d be a tough sell to publishers. The potential customer base was just too narrow. He suggested I self-publish, but the more I looked into that, the more it seemed like a lot of work–not just writing and publishing but marketing–and not really worth the few bucks I might be able to scrape out of it. Oops, one mistake here. Erin Gray played _Colonel_ Wilma Deering in Buck Rogers, not Captain. Good catch, Michael! Fixed…and thank you. Whatever happened to Pacific 201 and First Frontier? Are those films still happening or what? Does anyone know? The last updates I got were that both were still in post-production and were going to be released. As to when, well, that’s still a big unknown for both of those fan films and also for Starship Farragut’s finale Homecoming. Anyone criticizing STC or Vic should take into account that these folks released at least one or two episodes per year like clockwork for four years straight…and four episodes this year! I have a hunch that Starship Farragut is done. Given the new guidelines that CBS/Paramount put into effect after Axanar spoiled the brew, I doubt that it will be shown anytime in the near future. The same has also plagued New Voyages/Phase II, regarding their unaired episodes. If you’re interested, here is Starship Farragut episode that was written, submitted, but not filmed due to some ‘artistic differences’ between the writer and the FF staff. At least actor Dean Rogers(Roy Morris)stated that he liked it. Farragut isn’t done just yet. They have one more episode coming out: “Homecoming.” I was recently sent a donors-only update on progress, but John Broughton did not permit me to share it publicly on Fan Film Factor…and I respect his wishes. 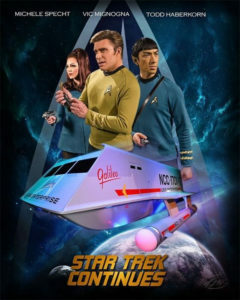 As for New Voyages, James Cawley entered into a licensing agreement with CBS when it came to his set tour, and there is speculation that his decision not to complete any of the remaining episodes was due more to that new licensing relationship. 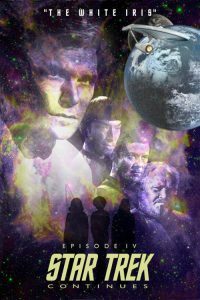 Had James wanted to complete the final three (or at least two of them–the third is more problematic due to the star no longer being available), he probably could have with the same “just finishing up” philosophy as Star Trek Continues. But James–rightly so–probably doesn’t want to go too boldly back into the world of fan films while he’s an official licensee. I don’t blame him. I wouldn’t trust John Broughton’s word at anything. Which is another reason why Rob and Amy McDonough and a couple of other actors left the Farragut production. It’s not simply that I never seem to read a positive comments from you, Blue. It’s that every comment I read from you seems to include something negative about someone or something. Obviously, I live my life in a very different way. Well, if Star Trek fans acted in a more civilized manner and not pull a bunch of negative, illegal, rude, crude, foolish, liberal-minded, egotistical, prima-donna BS, then maybe I would have some positive comments to say about Star Trek fandom and the current state of it. By the way, your sentence should be phrased as ‘I never seem to read any positive comments from you’. And there’s more negativity, Blue. Sometimes the change has to start within. All the things you just listed that annoy you about Star Trek fans…you realize that describes most of what you post here, right? Oh, “illegal” and “liberal-minded” might not apply–although both are pretty ridiculous claims to make about Star Trek fans; one is hard to prove without a conviction in court and the other isn’t really a bad thing. But the rest, Blue, that’s totally you lock, stock, and keyboard! 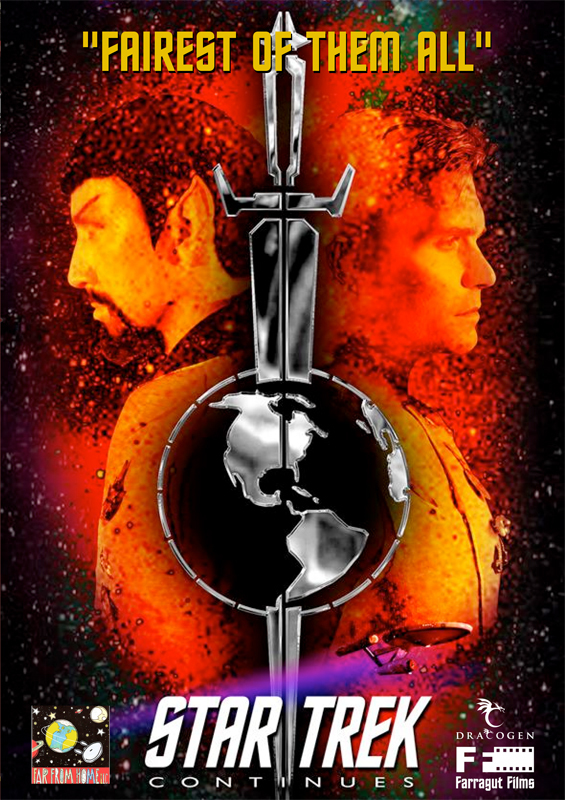 I’m a fan on the opposite side of the planet, physically removed from the vast bulk of Star Trek fan film action. And I’m sure I have previously voiced my disappointment at all the negative energy wasted in the, at times, vicious bickering that occurs (not that I am describing this episode as necessarily vicious). From a distance, quite a number of the various conflicts appear to be tinged with jealousy. Here in Melbourne (Australia) I wish it were possible to be an active participant of this fan action and not just an occasional donor. So it is particularly frustrating to see this antagonism and negativity which comes from, I think, a small number of individuals and groups. These people seem to be unaware of how lucky they are to be a part of the Star Trek fan-film action. If that wasted energy was turned around to positive directions, so much more could be achieved. Blue Thunder, can’t you see that the vast majority of fans are described by the complete opposite of just about every critical word you employ. (I’m not sure about ‘liberal-minded’ which seems a good trait to me, but your interpretation of the term may have political overtones and I won’t buy into USA politics). By positive support and co-operation, these people you condemn are achieving the huge number of fan films, great and not so great, that we enjoy, while people like you are an inhibiting factor in this ocean of achievement. Jonathon – your rebuff is spot on! I think Blue just doesn’t know any other way to be, Bryan. Some people simply have to see the glass as half-empty (or worse). It’s a choice, of course…as is the choice to see the glass as half-full. I’ve always been happier doing the latter, but some people prefer embracing the darkness and anger and bitterness…even at the expense of ignoring reality. Anyway, it’s a choice Blue has made for himself and his life. And who knows? Maybe being bitter and angry is the only thing that makes him happy these days. I’ve noticed that’s true of a lot of people who use the word “liberal” like it’s some kind of insult when it’s the exact opposite and something to be quite proud of. The Founding Fathers were all liberals, of course. The conservatives at the time were the ones who wanted things to remain as they were under control of the British monarchy. Liberals fought for America’s independence from England and wrote the Declaration of Independence, the Bill of Rights, the Constitution, and have always come down on the side of liberty, freedom, and equality. If that’s an insult, then by all means, PLEASE insult me! SMH. And I thought Star Wars fans could be rabid when it came to that franchise. The unbelievable hatred fans have had for the prequels and the Special Editions of the original trilogy. Man, it is no wonder that George Lucas sold the franchise to Walt Disney. All that aside, I’m not going to waste any time debating the issue any further. You’re going to believe what you’re going to believe. So are other fans. It will be the same with myself and those who share in my opinions. If Star Trek fans – in their moment of out of control liberalism – had not tried to overwhelm, conquer, and devastate like Colonel Green – and tried to be top dog in the sci-fi franchise world, let alone try to be number one in the Star Trek fan film world by resorting to unethical and immoral tactics, then maybe CBS/Paramount would not have had to step into the sandbox and take away the toys. What a waste of fandom. Or in this case, something positive turned negative because fans got too big for their britches. As Jim Kirk told mirror Spock, the illogic and waste. SMH. My, my, my. The days of Star Trek fan filmdom are over. 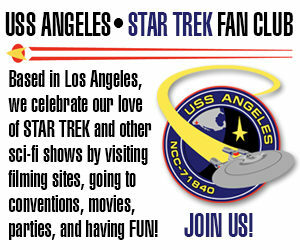 And in light of recent events concerning George Takei, those events will undoubtedly give Star Trek another black eye. Star Trek has run its course. It’s gone as far as it can go. After fifty years and certain events, it has become the past. Time to leave it behind, look ahead, and see what else is out there. It’s a moot point, now. Star Trek Continues broadcasted their final episode. And a magnificent episode it was! We’re so blessed to have had eleven episodes of this fine series. Previous Previous post: ROBERT MEYER BURNETT resigns as director on AXANAR! Next Next post: STARSHIP ANTYLLUS releases 55-MINUTE two-part 10th episode!